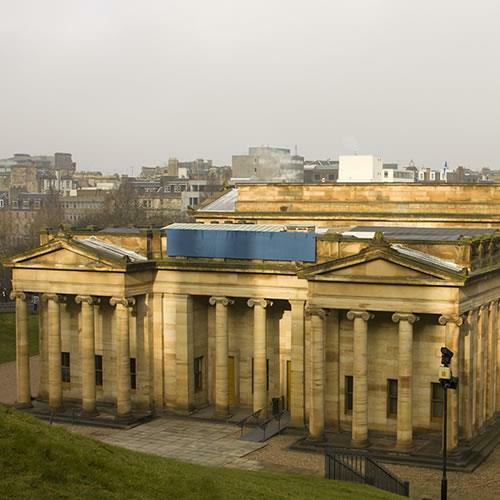 Situated north of Old Town, New Town is perhaps the pinnacle of Scottish Enlightenment. The squares and streets, created in the late 18th and early 19th centuries, have an unparalleled Georgian elegance. New Town is made up of a network of squares, streets, terraces, and circuses, reaching from Haymarket in the west almost to Leith Walk in the east. New Town also extends from Canonmills in the north to Princes Street, its most famous artery, on the south. This is an area for walking and gawking. At its southern extent, Princes Street, running parallel to the boundary-forming Princes Street Gardens, is New Town`s main attraction. 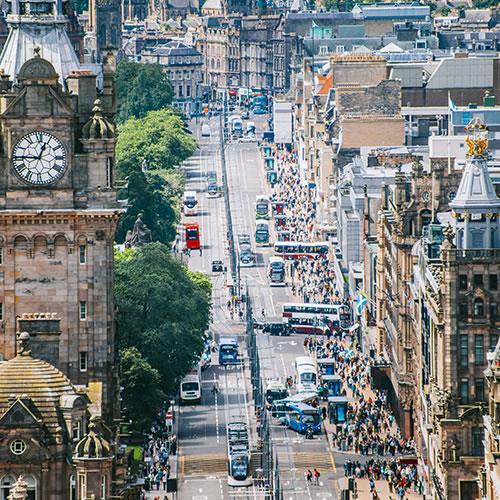 A shopping street with British department stores like Marks and Spencer, Debenhams, and Primark, and Scottish specialty stores such as Jenners, Princes Street also affords views of Edinburgh Castle and the Princes Street Gardens. Just a couple of blocks north of Princes Street is George Street, another shopping district, which is filled with high end boutiques, independent shops, pubs and cafés. On the west end of the street lies Charlotte Square, which holds the St. George`s Church-turned-West Register House, where you can find your family crest. 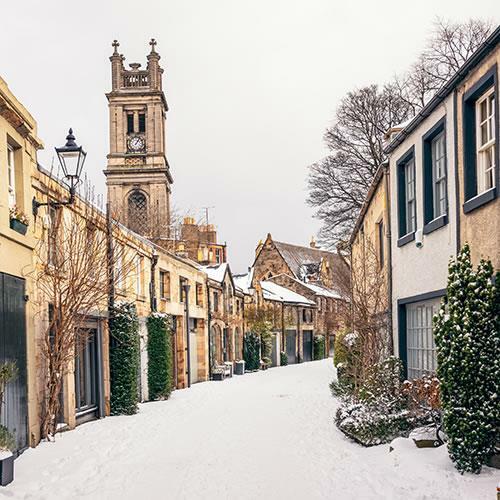 If you meander the other way on George Street, you`ll run into St. Andrew Square, which shelters the department store, Harvey Nichols, the Melville Monument, the Royal Bank of Scotland, and the start of the Edinburgh financial district. This shopping area featuring the Harvey Nicks and the Royal Bank of Scotland is known as Multrees Walk. At the end of Multrees Walk is a shopping center which features John Lewis & Partners, a well-known upscale department store. 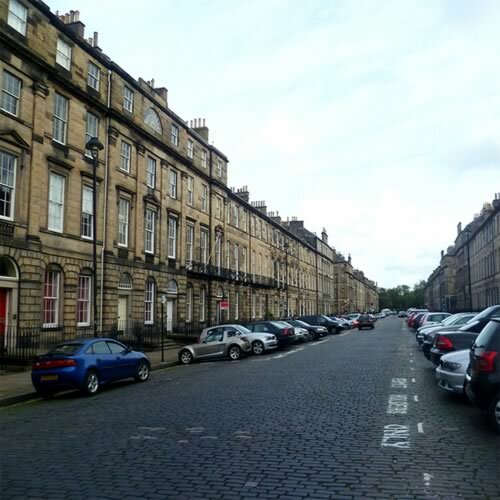 New Town is bounded roughly to the west by Gloucester Lane, Darnaway Street, Moray Place, Great Stuart Street, Ainslie Place, Randolph Crescent, and Queensferry Street; to the north by Gloucester Place, Royal Circus, Great King Street, Drummond Place, and London Street; to the east by Calton Hill, Calton Road, Leith Street, Leith Walk, and Gayfield Square; and to the south by Princes Street, Princes Street Gardens, the Scottish National Gallery, and Edinburgh Waverley Station. Points of interest in New Town include the Georgian House, Multrees Walk, Princes Street, the Scottish National Portrait Gallery, and the aforementioned West Register House and Melville Monument. This is where Edinburgh began, 900 years ago, and the area still has many of the city`s major tourist sites. 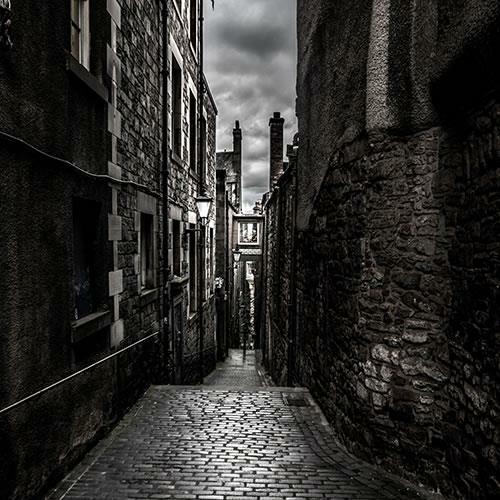 Its spine is the Royal Mile, a medieval thoroughfare stretching for about a few miles from Edinburgh Castle downhill to the Palace of Holyroodhouse. Filling the gap between New Town and Old Town, the verdant Princes Street Gardens offers a sloping meadow speckled with trees and flower beds. The 29-acre west gardens and the nearly nine acre east gardens, collectively known as the Princes Street Gardens, play host to picnics and concerts, especially during Hogmanay. From late November to early January, the gardens are transformed into a Winter Wonderland, replete with an ice skating rink, a Christmas market, a huge Ferris wheel and a number of winter theme plays. Splitting the Princes Street Gardens, The Mound is an artificially raised area, which now supports the National Gallery of Scotland, the Royal Scottish Academy, the Bank of Scotland and the General Assembly Hall of the Church of Scotland. The city`s main transportation hub, Edinburgh Waverley railway station, is also located here. 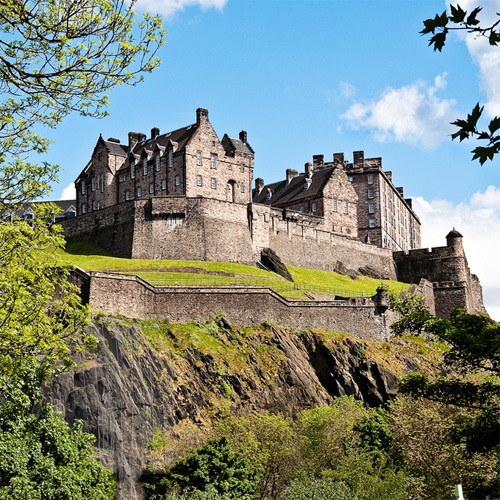 Connecting the Edinburgh Castle to the west and the Holyroodhouse Palace to the east, the Royal Mile spans four streets and is known for its overflow of historical attractions. Along the Royal Mile is the new Scottish Parliament building, the 17th century St. Giles Cathedral, the Witches` Well, a cast-iron fountain that memorializes 300 alleged witches who were burnt to death at the stake in the 16th century as well as numerous wynds and closes plentiful with pubs, restaurants and shops. Located to the south of the Royal Mile in Old Town, the Grassmarket and Cowgate areas are known for their compilation of pubs, clubs and live music venues. Old Town is bounded roughly to the north by Johnston Terrace, Edinburgh Castle, Ramsay Lane, Market Street, Edinburgh Waverley Station, and Calton Road; to the east by the Palace of Holyroodhouse; to the south by West Port, Grassmarket, Cowgate, and Holyrood Road; and to the west by Castle Terrace and Lady Lawson Street. 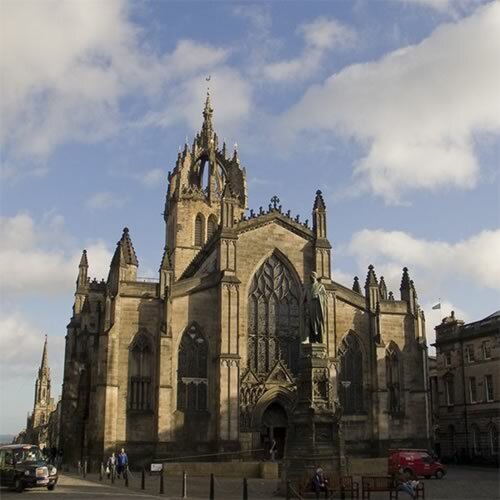 Points of interest in Old Town include the aforementioned Edinburgh Castle and St. Giles` Cathedral, as well as The Scotch Whisky Experience, the National Library, the Museum of Childhood, the historic and mysterious Mary King`s Close, and the City Art Centre. 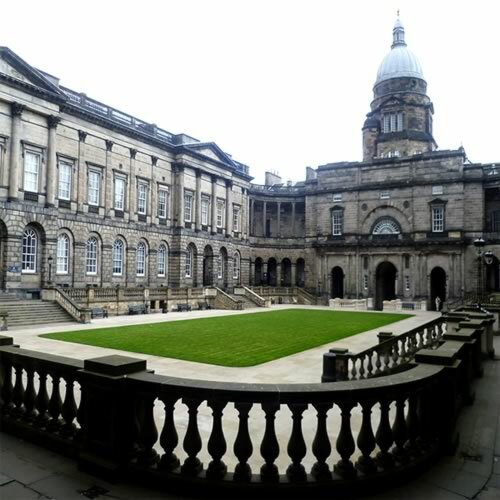 Southside is the area south of the Old Town (Royal Mile), largely occupied by the sprawling campus of the University of Edinburgh. The area is a very vibrant part of town, particularly during the autumn and spring school terms, although it does cater to students and youthful crowds year-round. You will find a varied selection of pubs, cafes, and restaurants which all cater to the student population in some capacity. The areas outside the immediate university area are mostly residential and many of the accommodation options in this area consist of bed-and-breakfasts. Southside is bounded roughly to the north by Fountainbridge, West Port, Grassmarket, Cowgate, and Holyrood Road; to the east by Queen`s Drive and Holyrood Park; and to the south and southwest by Earl Grey Street, Brougham Street, Brougham Place, Melville Drive, Hope Park Terrace, Bernard Terrace, St. Leonard`s Street, Dalkeith Road and Holyrood Park Road. 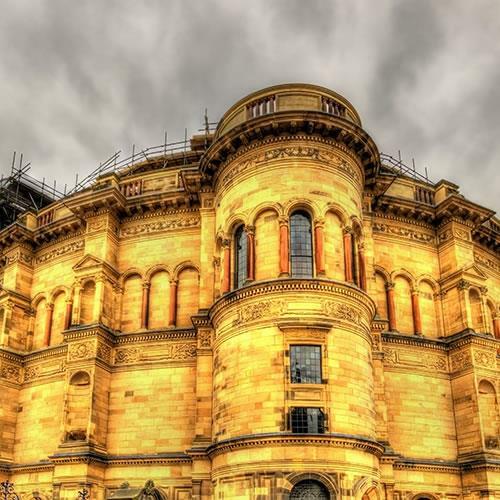 Points of interest include the University of Edinburgh and George Square Gardens, the public park The Meadows, the National Museum of Scotland, Summerhall, Festival Theatre, and Pleasance Theatre. The Scottish Parliament and Our Dynamic Earth are located just to the north and west of the curve at Queen`s Drive and Holyrood Gait. King`s Theatre is located just to the west of Southside, west of Brougham Place and Leven Terrace on 2 Leven Street. 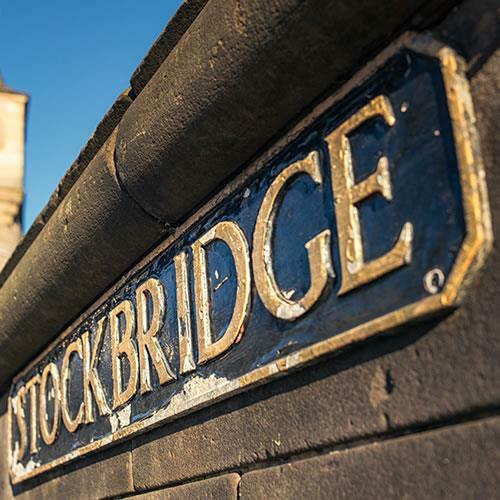 Cut in two by the Water of Leith, Stockbridge was Edinburgh`s first suburb, designed in the late 18th and early 19th centuries. It is well-known for its rows of Georgian and Victorian townhouses, such as the public accommodations at One Circus Place, a large Georgian house-turned-bed-and-breakfast where many celebrities have stayed. This well-heeled residential neighborhood sees much of its commercial activity along its `high street`, Raeburn Place. East of the Water of Leith, it becomes Kerr Street and later Circus Place. You will find the best restaurant selection along Raeburn Place and St. Stephen Street, ranging from greasy spoon cafes to cutting-edge gastropubs. Stockbridge Open-Air Market, on Kerr Street, has been a fixture in the community for generations, and is now open every Sunday year-round. Stockbridge is bounded roughly to the north by Comely Bank Road, Fettes Avenue, Inverleith Park, and the Royal Botanic Garden Edinburgh; to the west by Orchard Brae and Queensferry Road; to the south by Lynedoch Place, Randolph Crescent, Great Stuart Street, Ainslie Place, Moray Place, Doune Terrace, Gloucester Place, Royal Circus, and Great King Street; and to the east by Brandon Street and Dundas Street. Bonnington, once a largely industrial neighborhood, now sees more and more residential properties south of the B900 motorway (Eyre Place and Broughton Road). The neighborhood is located to the northeast of New Town and Edinburgh Playhouse. 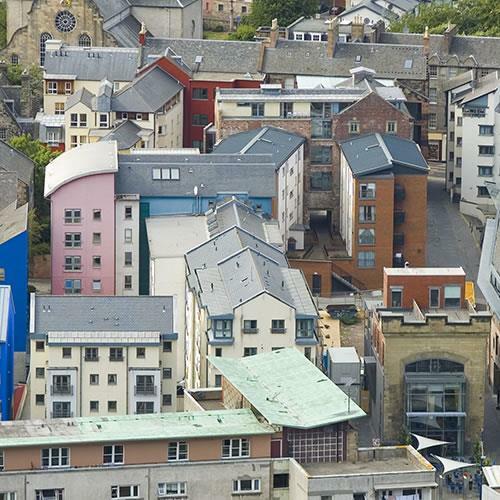 Many accommodation options are located aroud Rodney Street and Bellevue, an area that is easily accessible for people wanting to go to and from New Town. Bonnington is bounded roughly to the west by Brandon and Dundas Streets; to the north by the Water of Leith; to the east by St. Mark`s Path and McDonald Road; to the south by Great King Street, Drummond Place, and London Street; and to the southeast by Gayfield Square and Elm Row. 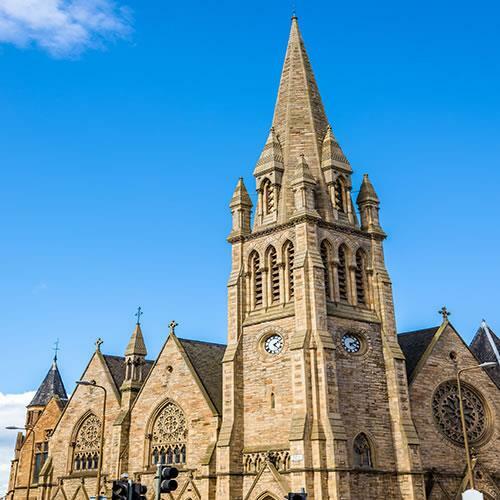 You may hear locals refer to the East End as `Pilrig`. Pilrig, once a distinct suburb midway between Edinburgh and Leith, is now more of a bedroom community of Edinburgh, especially with the construction of the Meadowbank Shopping Park nearby (a suburban mall meant to entice shoppers not just from Pilrig and the East End but also from the western and central portions of Edinburgh). Georgian terraced houses dot the streets, many of them repurposed into boutique hotels and bed-and-breakfasts. Many restaurants are clustered on and around Leith Walk. The East End is bounded roughly to the northwest by Broughton Road; to the northeast by Pilrig and Iona Streets; to the southwest by McDonald Road and Elm Row; and to the southeast by Royal Terrace and Easter Road. 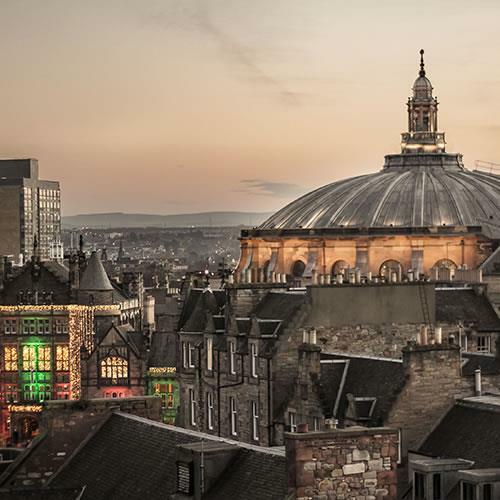 The West End can be thought of as the city`s cultural center, as it boasts many of the city`s arts venues such as Usher Hall, The Filmhouse, the Edinburgh International Conference Centre, the Royal Lyceum, and the Traverse Theatre. The Village hosts art festivals and crafts fairs. The northern half of West End lies in Edinburgh`s World Heritage Site, this area of the city contains many buildings of great architectural beauty, primarily long rows and crescents of Georgian terraced houses. Further west of the city center, are the Edinburgh Zoo, the Murrayfield Rugby Stadium, as well as the Union Canal, which links to more than 32 miles of waterways perfect for boating along or walking beside. Haymarket centers on the railway station (an alternative to Waverley for travelers to and from Glasgow or places much further north). The West End is bounded roughly to the north by Douglas Crescent, Douglas Gardens, Belford Road, Bells Brae, Lynedoch Place, Randolph Crescent, and Queensferry Street; to the east by Lothian Road, King`s Stables Road, Edinburgh Castle, Castle Terrace, and Lady Lawson Street; to the south by Fountainbridge, Grove Street, Morrison Link, Morrison Street, and Haymarket Terrace; and to the west by Magdala Crescent.